Are you looking for your dream dive vacation? 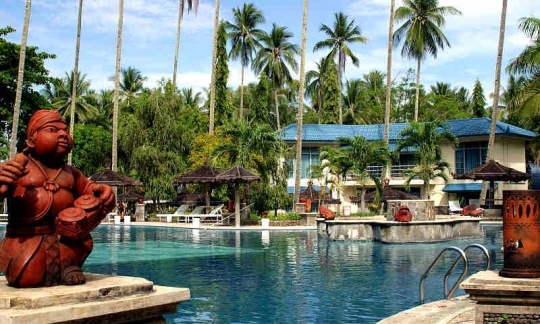 This is the fifth in a series of reviews of the best dive resort locations around the world. In fact, this one is kind of a hybrid, where resorts and liveaboards will both be discussed. 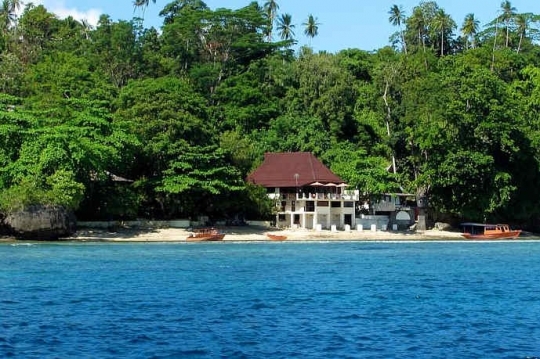 In this post, the focus will be Bunaken Island and Lembeh Strait, Northern Sulawesi, Indonesia. Below is a description of the diving and a review and comparison of the best dive resorts and liveaboards with photos, videos and maps. If you would like to make a reservation or get complete information on any of the resorts or liveaboards and conditions, click on one of the Dive the World banners located at the bottom of this post or in the right sidebar. Then go to Dive Destinations/Bunaken Island and check out the options for liveaboards and dive resorts. 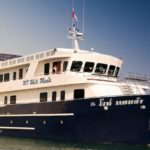 To check out other liveaboard and resort reviews, click on Liveaboards/Resorts on the menu at top and choose a title. On the western side of the northernmost tip of Sulawesi Island is the city of Manado. Just out of Manado Bay is Bunaken National Marine Park, typified for the scuba diver as having tremendous biodiversity, varieties of fish, macro and great walls. The park, made up of the five islands – Bunaken, Siladen, Manado Tua, Montehague and Nain, covers 75,000 hectares and has a couple dozen excellent dive sites. The healthy reef has a bit of drift caused by ocean currents and is suitable for beginner to advanced divers. This current brings nutrients which help nourish the great diversity of life there. A great many species are permanently anchored like corals, sponges, tunicates and giant clams and others are always there like blacktip sharks, barracuda, tuna, dugongs and a tremendous variety of reef fishes. The dugongs like to feed in the grass beds in the south of the park. 33 species of butterfly fish and 70% of all Indo-Pacific reef fishes reside in the park. Macro enthusiasts also have a vast palate of shrimps, nudibranchs, anemones, crabs and many other smaller critters. In June pelagic sharks start arriving and in July the prevalence of dolphins and whales increases. July and August see the arrival of sperm whales in migration to Sangihe, to the north, for calving. As a point of interest, the coelacanth (famous living fossil) was found in lava tubes off of Manado Tua. Diving is possible year round with some limitations. It is best from March to October. Winds and rain can create rough surface conditions with 1-2 meter swells from November to February. The water temperature is fairly constant at 27-30°C (81-86°F) and visibility good ranging from 20-35m (65-115ft). Due east of Manado off the eastern coast of northern Sulawesi in the Molucca Sea is Lembeh Island, with its narrow strait separating it from the bigger main island. It, too is renowned for its biodiversity and is particularly noted for its muck diving. A near encyclopedia of fascinating and quirky creatures reside there including this list: mimic octopus, flamboyant cuttlefish, harlequin shrimps, skeleton shrimps, many varieties of nudibranch, Ambon and weedy scorpionfish, snake eels, stonefish, sea robins, stargazers, devil fish, pygmy and Pegasus seahorses, mandarinfish, ghost pipefish and Banggai cardinal fish. The diving is suitable for beginners and advanced divers and possible year round. Water temperature is warmest from October to March at 28-29°C (82-84°F) and coolest at 25-26°C (77-79°F) in July and August. This cooler season is also the time of more sightings of macro critters primarily due to it being the season of reproduction. At the time of warmest water temperatures in January and February, visibility is at its lowest. Best vis is from October to December. The southeast monsoon winds are in effect from June to September, sometimes creating a choppy surface. In the season of heaviest rains in January and February, some sites in the north end of the Lambeh Strait may be too rough for diving. Sulawesi itinerary includes: Lembeh: Aw Shucks, Hairball, Nudi Retreat, Bangka: Sabora, Tanjung Toto, Tiga Batu and Sangihe: Biaro, Ruang, Tagulandang, Siau and Mahengetang Island. If you would like to make a reservation or get complete information on any of the resorts or liveaboards and conditions, click on the Dive the World banner just below or in the right sidebar. 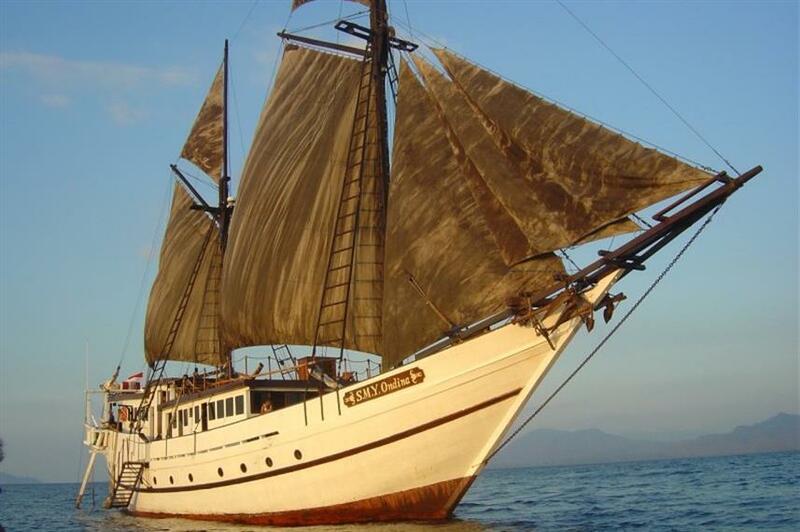 Then go to Dive Destinations / Bunaken Island and check out the options for liveaboards and dive resorts. Really informative article on scuba diving – you managed to clear up a few questions I had about planning our upcoming trip. From a beginners point of view, and a family who are not all exactly confident with the idea of scuba diving, would you suggest taking on one of the trips that offers the snorkeling routes as well as the scuba diving? Is this a good way to build confidence in the water? Thanks for you kind comments and question. 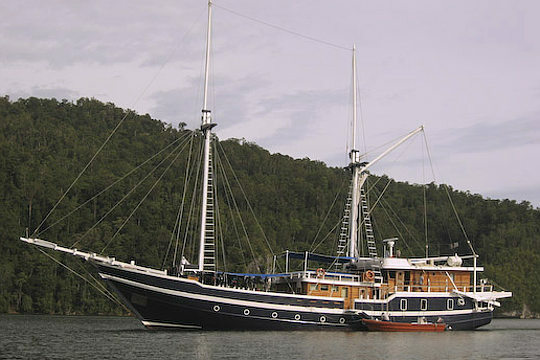 A liveaboard is an expensive proposition for a family some of whom won’t be diving. I would suggest to go to a dive resort like the ones I introduce in my post. Non-divers can participate in many land based and shallow water activities and have a great time. In addition, they could do a dive course or a discover scuba diving experience if they are inclined to try it. An instructor would methodically introduce the student to diving in a nonthreatening and fun way. A basic beginners open water diver class takes about 4 days and includes some study, 5 shallow water classes to learn the skills and 4 open water dives to practice the skills and have a supervised introduction to the undersea world. Short of that is the discover scuba diving that can be done in less than a day. It involves some instruction on land, a pool session and an extremely closely supervised open water dive in relatively shallow water. If you would like suggestions on places to dive closer to home or anything else related to diving, please let me know. Thanks Joe, Your post on this unheard of diving location in this beautiful planet we live on is awesome. Thanks a lot for your kind comments and for referring others to my site. A small child can tie you down quite a bit. I do hope you will have a chance to try something like this at some point. I didn’t start diving myself until my late 30s and it has been a real eye opener for me. If you ever have any further questions or comments, please let me know. The pictures of the resorts you displayed in your post are so attractive that I am currently wishing to be there right now just relaxing and enjoying myself with my loved ones. Though it would be nice to be there, I have to say being able to relax and have fun in such places does come at the a high price. I never knew Indonesia had such nice places to visit. I would like to know out of Bunaken Island & Lembeh Strait which do you feel is more ideal for children to be around because this is a place I would like to one day bring my family to. Thanks a lot for you interest and kind comments. Unfortunately the liveaboards can be pretty expensive. I would suggest that the dive resorts starting at $50 per day are fairly reasonable at that price and the kind of place for the whole family to have a great time. 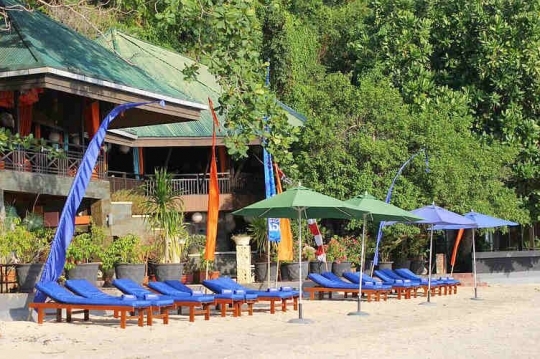 The resorts at both locations, Bunaken Island and Lambeh Strait would be great for kids and the whole family. Each has a nice seafront and is situated in a woodland setting. Diving, beach activities, boat trips and land tours are all activities available. If you have any other questions about diving, please let me know. 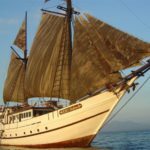 I urge you to check some of my other posts with reviews of other liveaboards and diving locations. Hi, Joe. Wow, a great and nice article. I’m just a swim beginners, I have never learned about dive, but I won’t give up ever though I don’t know how to dive. I also liked the resorts and liveaboards that you mentioned because I have never been to a vacation for a long time, haha. I also like the Lembeh Strait Scuba Diving that you mentioned, because there are a lot of fascinating and quirky creatures that I can be enjoy with like snakes, stonefish, marine robins, stargazers, and devil fish. Even if I don’t know how to dive, I will look for a coach to learn some basic diving methods, so that I can also get close contact with these mysterious creatures. 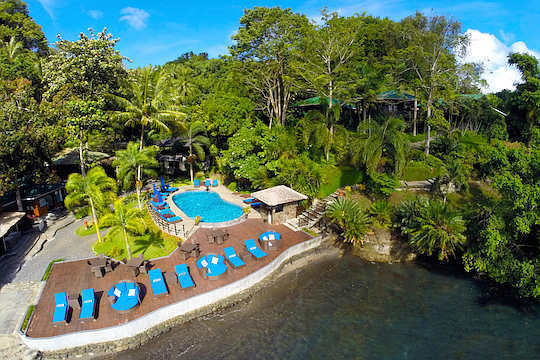 And I also like the resort of Lembeh Resort, because I prefer to fun in this type of holiday home, have a feeling of relaxation and can get some creative of ideas in our mind. I will back to your article again if I have a resort need, thanks for sharing. 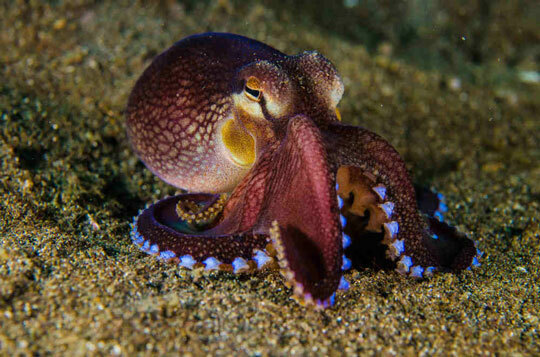 Diving is pretty exciting allowing you to get close to and observe so many otherworldly creatures. The basic open water diver class takes about 4 days and includes some study, 5 shallow water classes to learn the skills and 4 open water dives to practice the skills and have a supervised introduction to the undersea world. You can take a class like this in many places. 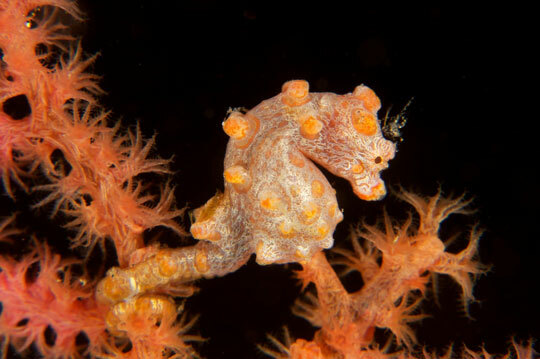 It’s possible to do it in Lembeh, if you like. If you would like some help to find a good spot for you to do it, please let me know. I’d love to see you get started. I greatly appreciate all your experience and the research you have put into this post. 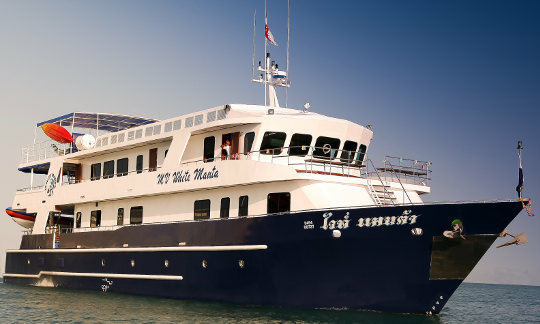 Here we truly have the best dive resorts and liveaboards! It has been very useful to subdivide these resorts in correspondence to low, mid and high budget. And I’m also pleased you pointed out the months of the year it’s better to visit each one of them: October to December for Lembeh Strait Scuba Diving, and March to October for Bunaken National Marine Park Scuba Diving. Thank you very much! If you have any questions about my website or scuba diving, please let me know. I hope you have a chance to go to Sulawesi or one of the exciting places out there and do some diving.